What do we talk about when we talk about ‘advertising’? 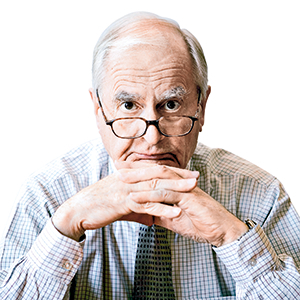 In this introduction to the discipline and industry, Jeremy Bullmore provides a whistlestop tour and explanation of the recent history of advertising, its aims, and its responsibilities. 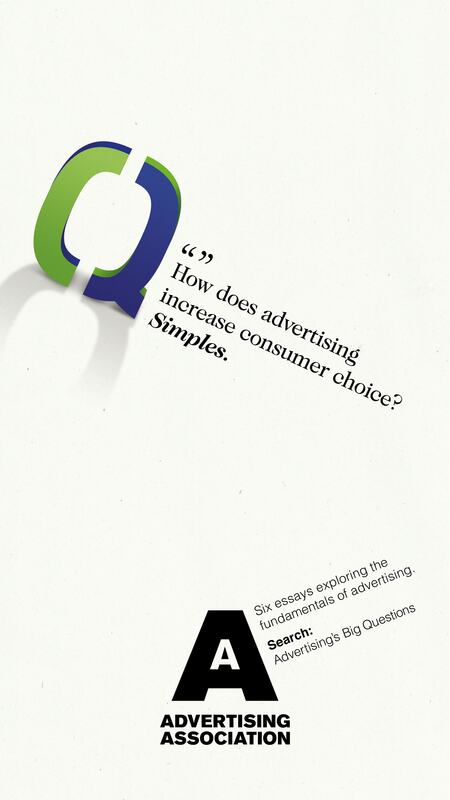 It has been 40 years since I first started to make the distinction between advertising and advertisements. I was by no means the first to do so but it still hasn’t caught on. Patient friends have told me that I’m being pedantic; that the distinction is a false one and entirely unnecessary. Whole books have been written about ‘advertising’ as if all advertising campaigns – all advertisements – were identical in their intention. Critics do the same thing: the unacknowledged assumption is that advertising’s only role is to sell things to people. Recently, that most meticulous and considered of commentators, Matthew Parris, wrote about ‘the brutalising effects of social media’. We all know what he means – but he doesn’t mean that. He means that some human beings choose to use social media in a way that can have a brutalising effect. Social media is (or are) no more inherently brutalising than an unbooked poster site. Social media, like television and advertising, are there, as empty and as neutral as a telephone system. Once they exist, it is how they are used that should mainly interest us. But I did advertising a disservice when I wrote, ‘Advertising, as such, can do absolutely nothing. It’s simply there, waiting to be used.’ In truth, the very fact that advertising is available, at a price, even before a single advertisement is bought or published, has social and economic value. The economic system we’ve chosen to live with over the last couple of hundred years is a competitive one. It relies on the energies and inventiveness of millions of individuals and individual companies to make things and sell things; and on the state, where necessary, to moderate such activities; for example, in the limiting of monopoly power. And there can be no doubt that the background knowledge that advertising exists is a permanent spur to the constant innovation that’s powered the ever-growing prosperity of the last two centuries. I’m not, of course, claiming that without advertising no such progress would have been made. Mankind is restlessly and innately curious and inventive. There will always be an appetite for a better mousetrap. 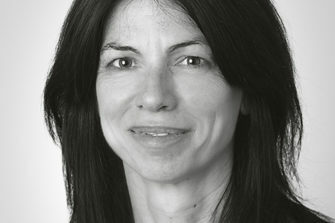 I’m simply observing (and if you work in advertising, you observe it on a daily basis) that the freedom to tell the world about your better mousetrap, and so more speedily recoup your investment in the development of that mousetrap, intensifies your determination to experiment and improve. As witnessed in almost every consumer goods market, even quite small incremental improvements in the design and function of products, when publicised, can keep a brand from complacency and the competition on its toes. And 10 insignificant product improvements, aggregated over time, will bring significant benefits. I think I was also remiss, 40 years ago, in not touching on the origins of advertising. Once upon a time, long, long ago, families had to be self-sufficient. Everything they needed they either grew or made themselves or did without. Then came farming and the division of labour: farmers, toolmakers and tailors became specialists and traded with each other, but they still knew each other and lived in the same communities. Then we learnt how to turn heat into energy and the Industrial Revolution changed everything. Mass production meant that the producers of things no longer knew the buyers of things; they no longer lived in the same village. Mass transportation meant that a trader could now trade with customers hundreds of miles away and more. Direct contact was lost forever – but the same revolution came up with an alternative: mass circulation newspapers and magazines. Advertising was never invented; it simply emerged naturally and inevitably to meet a need that progress had created. So quite by chance, advertising helped fund the development of media and kept the price of media down. Without the subsidy of advertisements, newspapers and magazines would have cost citizens maybe twice as much. Later, the same became true for radio, cinema, television and the Internet. Some of advertising’s champions tend to parade this fact proudly, and it’s certainly true that the growth and abundance of good, affordable journalism and entertainment owes much to the existence of advertising. But to me, it was – and remains – a happy accident. Advertisers are neither altruists nor philanthropists; they spend money on advertising because it pays them to do so. If advertising were found to be irredeemably evil, its contribution to free speech would provide no mitigation. Advertising came into existence because of the needs of trade. But once established it has been found to be of value, among a huge variety of roles, in the recruitment of staff, in fundraising for charities and in the dissemination of government information. 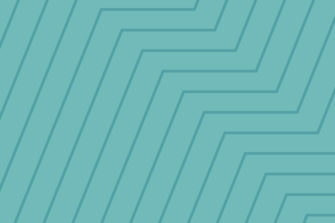 Its value in the building of brands has been well-documented. More recently, it’s become increasingly clear how advertising does not just help build brands but helps sustain them. In almost all discussions and debates about advertising, classified advertising gets shamefully neglected. Available in print or online for just about anyone, classified advertising can act as an almost perfect agent of exchange: the unwanted can find new homes that would otherwise have remained unidentified. Classified advertising has been recycling things since long before recycling became a virtuous activity. 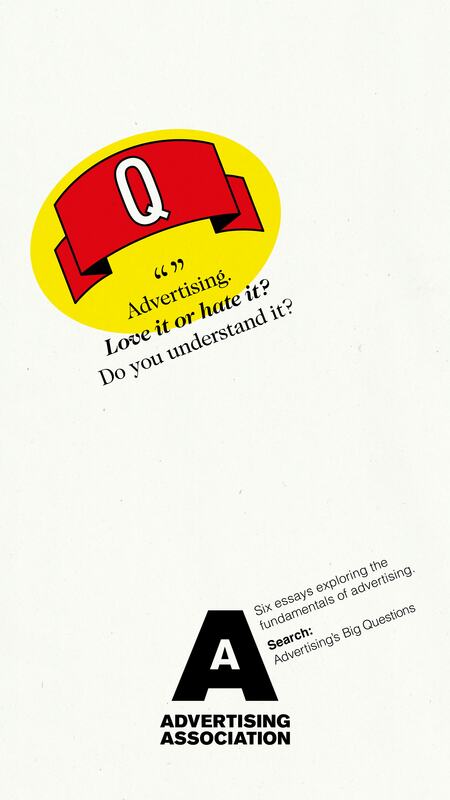 Apart from the ‘paid-for’ point, it holds up pretty well, I think, and has been accepted as a starting point by several reports into the effects of advertising. I hesitate today at this paragraph: ‘It’s both legitimate and healthy to question the effect of television programmes just as it is to question the effect of certain advertisements but to suggest that advertising does this or television does that, is nonsense.’ There is an exception to this point. The totality of advertising is made up of countless individual advertisements and advertising campaigns. Their individual sponsors are, entirely properly, mainly concerned with the effects, commercial and social, of each of them individually. But there must, presumably, be an unplanned, unintended, uncoordinated – and virtually unmeasured – aggregate effect. Given the diversity of advertising, and the high proportion of competition within advertising, it seems to me highly unlikely that such an overall effect could be seriously adverse. 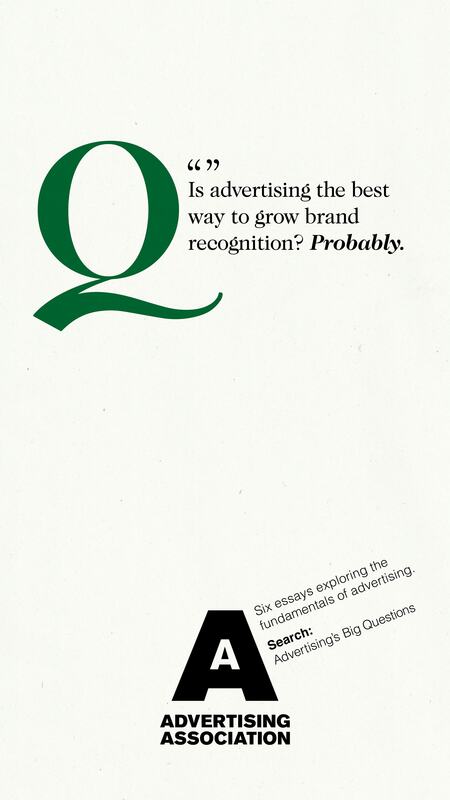 But perhaps only bodies such as the Advertising Association are in a position to keep an eye on it. 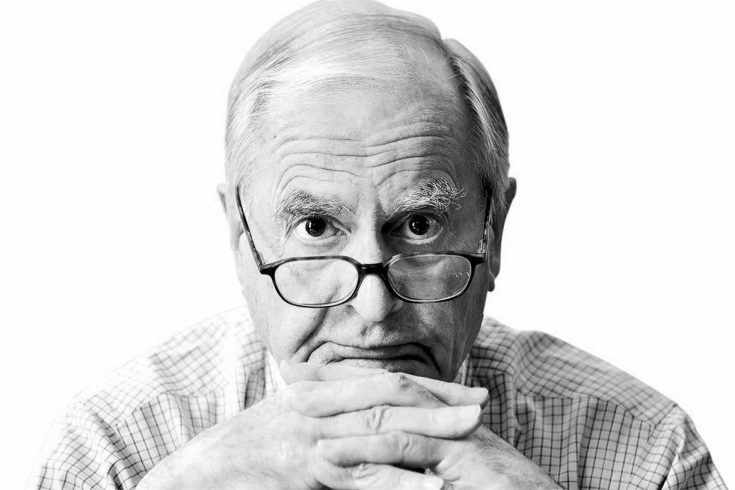 Want to know a bit more about Jeremy Bullmore? Jeremy’s first job, in 1954, was as a trainee copywriter with J. Walter Thompson in London, where he stayed until retirement in 1987. He became successively writer/producer, creative group head and head of television; from 1964 to 1975, head of the creative department; from 1976 to 1987, chairman. From 1981 to1987 he was a member of the JWT Worldwide board and chairman of the Advertising Association. From 1988 to 2001, he was non-executive director of the Guardian Media Group and, from 1988 to 2004, a non-executive director of WPP. He is past president of NABS and past president of the Market Research Society. He is currently a member of the WPP Advisory Board and a columnist for Campaign, Management Today, Market Leader and The Guardian. 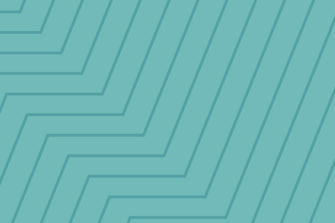 He was awarded a CBE in 1985 and the Advertising Association’s Mackintosh Medal in 2011. He has three grown-up children and lives with his wife, Pamela, between London and Wiltshire. "There can be no doubt that the background knowledge that advertising exists is a permanent spur to the constant innovation that’s powered the ever-growing prosperity of the last two centuries"